Your trusted and dependable, tech-savvy financial experts. Your business is moving toward the future, why should your relationship with your accountant be any different? Technology is changing how you do business, and we understand that. We’re here to help you not only keep up with the technology, but also leverage it to run your business more profitably and more efficiently. We love to help our clients modernize their accounting system, which allows them to run their businesses from anywhere and make informed, real-time decisions using cloud-based tools and integrated applications. You want your business to grow and thrive and that requires two things. First, you need the cash flow and profitability that comes from being proactive about your financial situation. Second, you need to spend your time running your business, not wrestling with the books. We offer a full range of accounting services, including bookkeeping, and financial statement preparation. You’ll have everything done in one place and we’ll help you make it even more efficient with the tools and technology that fit your business. Taxes are one of the biggest stressors for many business owners. We provide a full range of services, including income taxes, payroll, sales, and business taxes. We track, prepare, and help you plan so you can maximize your after-tax profits. Recent changes have had a big impact on S Corporations and other small businesses. We’ll help you understand the changes and get the best possible results. Your personal life and your business are connected in a big way. Changes in your business impact your bank account and your future. Wouldn’t it make perfect sense to have the same professionals handle your personal and business taxes? Let us ensure that you’re getting the most from the recent tax law changes and not paying a penny more than you owe. 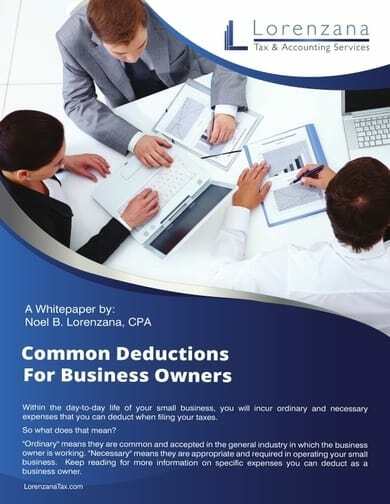 A must-have reference for every small business owner. Updated to include changes due to the Tax Cuts and Jobs Act. Meals and Entertainment - The Tax Cuts and Jobs Act has made significant changes to the deductibility of business meals and entertainment starting in 2018. Entertainment expenses are no longer a deductible business expense. Business meals, not related to entertainment, are 50 percent deductible. With real-world experience and expertise with taxes, accounting, and business. We prefer Main Street over Wall Street and we specialize in working with S-Corporations and other small to medium service businesses. With over 25 years of experience with income tax preparation, accounting, bookkeeping, payroll, sales taxes, and other business services, we’ve seen just about everything. And we keep learning and innovating to help you succeed today. Large firms cater to large companies. We are a local firm, focused on delivering quality services to the small businesses owner and individuals. We understand the struggles and we know how to help you overcome them. 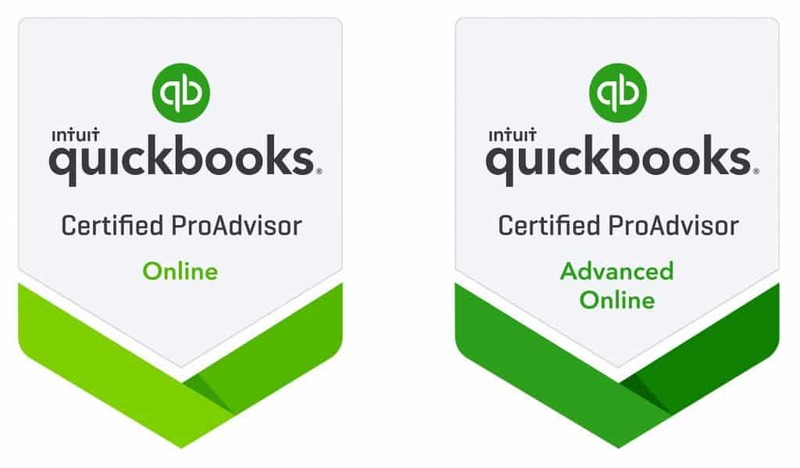 We are QuickBooks Online "Advanced" Certified Pro Advisors, and available to handle your QuickBooks online bookkeeping tasks and problems, big or small. If you use prefer Xero, no problem, we're also Xero Certified Advisors. In addition to our physical offices, we also have a virtual office. This means we can serve you anywhere you are. Our local office locations serve the Northwest Suburbs of Chicago and surrounding areas. We leverage our tech expertise with cloud-based solutions and business savvy to maximize your time, profits and cash flow. We make it easy to work with us and even make your daily tasks easier. We're looking for very specific clients. Clients who want CPAs, accountants, and financial advisors who are big picture thinkers and ethical problem solvers. We’re looking for relationships, not transactions. Noel B. Lorenzana is an Illinois Licensed, Registered Certified Public Accountant. He earned a B.S. in Accounting from the University of Illinois in 1994. 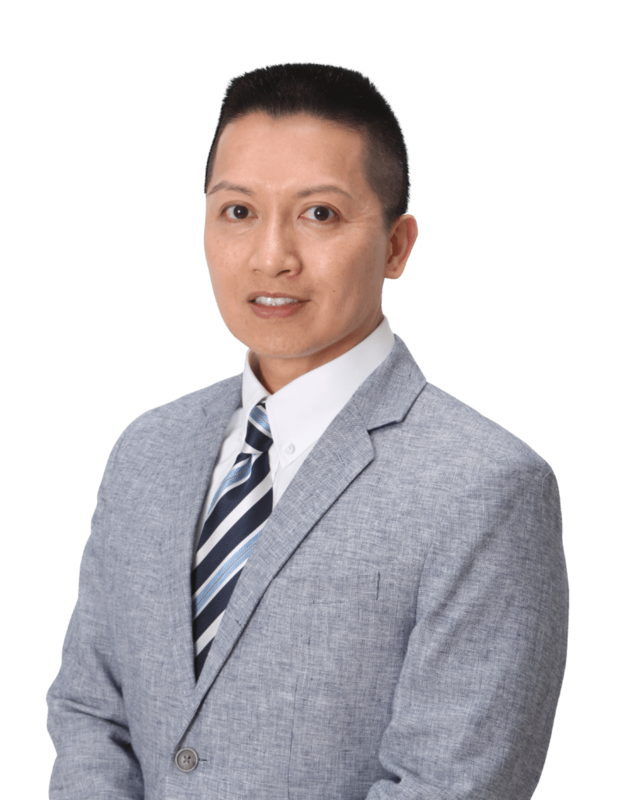 Mr. Lorenzana has almost four years of public accounting experience with a local accounting CPA firm. As a staff accountant, he conducted audits, prepared individual taxes, business taxes, payroll tax reporting, financial statement preparation, accounting setup & maintenance, compilations, and reviews. In addition, he has over seventeen years of small business accounting, inventory management, managerial, and operations experience with a specialty food direct importer, a wholesale distributor. He has over 25 years of combined taxes, accounting, and general business experience, with the last several years dedicated to helping individuals grow their businesses. Noel is also an expert at solving individual and small business IRS tax problems. As a Certified Tax Resolution Specialist (CTRS) and Certified Public Accountant (CPA), he has represented many taxpayers with their tax problems.